Knoxville brewmaster Marty Velas figured things out pretty quickly. The notion of sitting at a metal desk and working under a fluorescent light for half a century didn’t exactly set the California kid’s hair on fire 40 years ago. You see, Velas had this obsession with craft beer. He says he was already clandestinely home brewing as a 17-year-old student at Birmingham High School in Van Nuys, California, in the late 1970s. That was way before brewing craft beer was cool. “I guess it’s OK to tell the story – I guess the statute of limitations has run out,” Velas says with a laugh. Velas’ interest in home brew spiked following a visit in 1978 to a home his family still owned in Czechoslovakia. Both of his parents were born in the country, which has a long history of premium beer. The current-day Czech Republic boasts the highest beer consumption per capita in the world. Marty Velas, the owner and chief brewer of Fanatic Brewing Co., has won a number of awards at the Tennessee Championship of Beers. The world-class beer that Velas sampled on his trip to Central Europe made his palate stand to attention. “I came back from the trip and asked my dad if there was anywhere I could find beer like that in California. After attending Cal-State Northridge, Velas found lucrative work as an aerospace engineer for Hughes Aircraft in California. Just in his 20s, Velas appeared set for life with a high-paying, high-profile job. That’s when fate intervened. So did his penchant for the unconventional. In the mid-1980s, Velas was offered a job by the Alpine Brewing Company, the first microbrewery in Southern California. Velas says the urging of his girlfriend, Solange, made the decision for him. 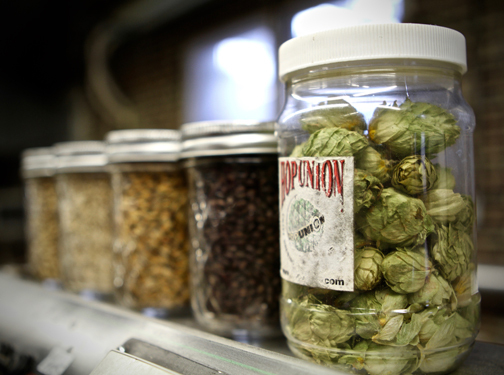 Fanatic Brewing Co. uses a variety of hops and barley to craft their signature brews. Velas got his dream job and dream woman. He married Solange in 1988 and accepted the post with Alpine, a decision that set him on his career path. “My hobby of brewing was my passion, and I jumped at the opportunity to turn my passion into my livelihood,” Velas explains. In 1989, Alpine sent Velas to Bavaria to complete a journeymanship at the Hofbruhaus Traunstein, a proving ground for brewmasters. Two years later, he put his engineering background to good use, consulting with equipment manufacturers to better design and implement improvements in breweries. Velas has held brewmaster positions at numerous breweries in California, Texas and Tennessee – including the Smoky Mountain Brewery in Knoxville. Fanatic Brewing Co. located just a few minutes drive north of downtown. He has also served overseas as brewmaster of the Turul Brewing Company in Szalapa, Hungary and Echigo Landsbrauerei in Niigata, Japan. 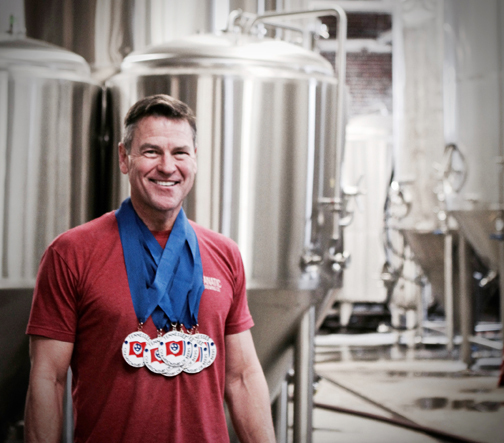 His beers have won numerous prestigious awards, including gold medals from the Great American Beer Fest and the World Beer Cup. Velas is also an internationally recognized beer judge and an instructor at South College, teaching a class in professional brewers science. “It’s a nine-month certification process, and I really love teaching it,” he explains. Velas has trained more than 200 successful brewers and takes his role as a mentor seriously. There’s a reason he’s called the “Godfather” of craft beer in Knoxville. “I’ve been around forever, and I think it’s an honor,” Velas says. 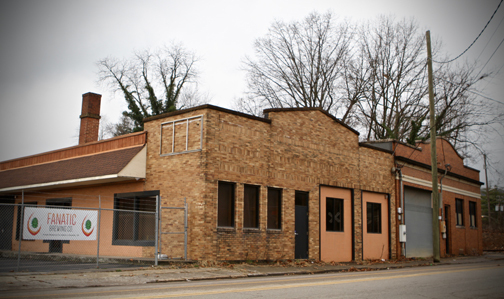 Velas says the culmination of his career occurred in early 2015 with the opening of his Fanatic Brewing Company, 2735 N. Central St., in North Knoxville. The brewery is housed in a 14,000-square-foot warehouse, built in 1917 as a Nabisco bakery. Velas looks like he has won the battle of pursuing his dream, instead of settling for the high-paying job sitting at the metal desk under a fluorescent light. A wiry, medium-sized guy, he hardly looks the part of a 56-year-old. The only giveaway is a hint of gray in his dark hair. And no beer gut here. Velas, who still plays soccer, looks fit and trim in his jeans and Fanatic T-shirt. A ping pong table sits next to the five huge brewing vats in the brewery. After all, Velas has his hands full with the brewery. But his dream job also affords him the luxury to play hard. Velas’ Fanatic Brewing Company is part of the burgeoning craft beer industry in Knoxville. 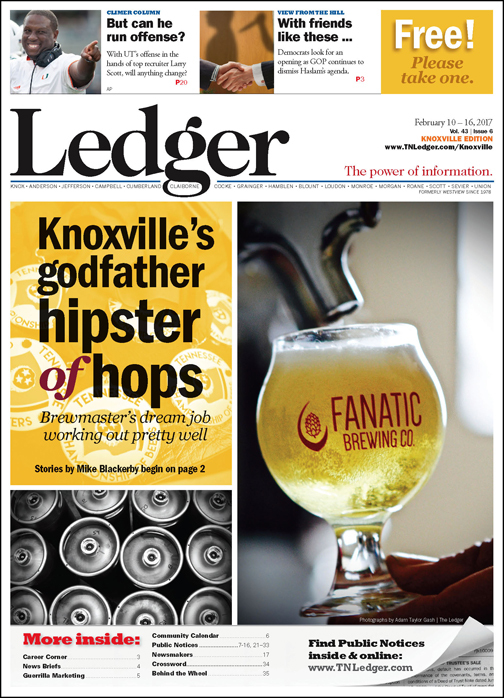 With about a dozen breweries in operation – and several others in different stages of development – Knoxville is one of the thriving and growing craft beer cities in the South. “Local beer is so popular right now,” Velas explains, adding that Knoxville is gaining ground on Asheville, North Carolina, a longtime force in the craft brew industry. Velas says that Knoxville is not even close to being tapped out when it comes to craft breweries. In fact, he says there’s no such thing as having too many breweries in Knoxville. “We’re not really bumping into each other,” he adds. Velas is in the process of adding a tap room to his booming retail business. Fanatic also hosts Groupon tours. For $29, two people get a tour of the facility, tastings, complimentary glasses and a growler of their favorite Fanatic beer. So far, Velas says he couldn’t have imagined a better script for his career choice. It’s a story that’s still being written.